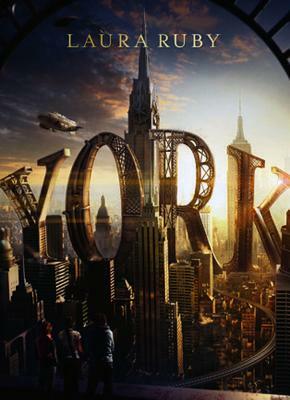 In the 19th century of an alternate universe New York, the Morningstarr twins—brilliant inventors who created steampunk technology and iconic architecture—disappeared and left a puzzle, known as the Old York Cipher. They bequeathed a large sum of money to their employee, Ms. Ava O’Neal, as well as the building that the modern-day Biedermann twins Theo and Tess, and their friend Jamie, are trying to save. Unsure whom to trust and facing danger, Theo, Tess, and Jaime must solve the cipher if they want to save New York. Laura Ruby is an author of books for adults, teens, and children. Her published titles include the Edgar-nominated teen mystery Lily's Ghost, and the children's fantasy book The Wall and the Wing and its sequel The Chaos King. She lives in Chicago with her husband and two cats.